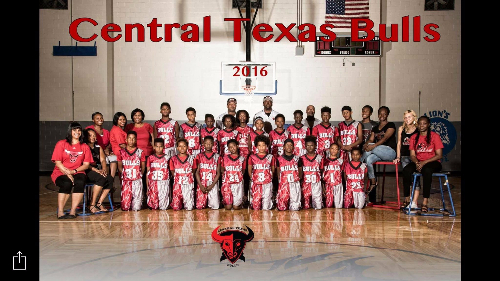 Central Texas Bulls Elite Basketball will host its team wide Free Throw Challenge on April 26th and 28th! During the event every athlete will shoot 100 free throws. We are looking for sponsors for every MADE free throw. You can PLEDGE anything from .25 cents to 10 dollars per basket made or make a one-time DONATION. 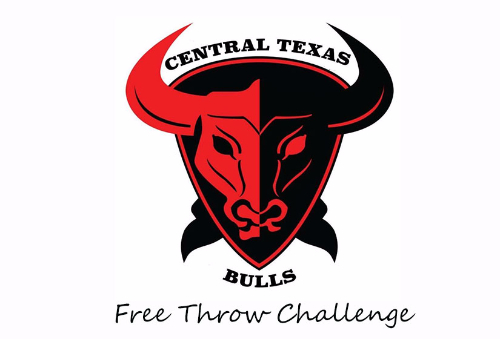 Central Texas Bulls Elite Basketball will host its team wide Free Throw Challenge the week of April 24th! During the event every athlete will shoot 100 free throws. 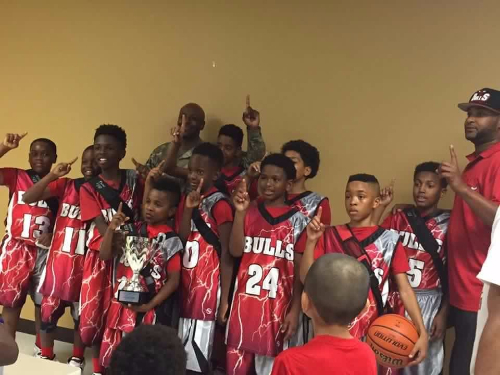 We are looking for sponsors for every MADE free throw. You can PLEDGE anything from .25 cents to 10 dollars per basket made or make a one-time DONATION. Please help us reach our goal! We are proud of you brother! Make them dern free throws!!! Keep up the hard work Khris! These donations are from a number of people who love and believe in me. Congrats Jamyron keep up the good work! To a great young man! Team Jackson is rooting for you! I've seen you shoot free throws. Heres your chance to prove your pops wrong. 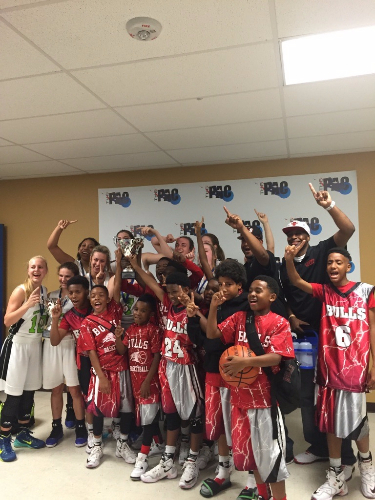 Congrats on your Championship !! Good luck from Auntie Bri and Pastor Gibson! Keep up the great work Tahji!! go get em Alexander clan!!!! yall are great people!!!! We are so proud of you! Good luck and make them all! Good Luck Cam!!! Do your BEST!!! Believe in yourself! You can do anything you put your mind to. Go do big things Mikal! Ivy, succeed in all your goals. S/O to Aunt Brenda for donating! S/O to Coach Cavil for donating!!!! You got this in the hoop!! Step your game up nephew!!!! I hope you shoot better than your old man! Donating to the cause. Keep up the good work! Thank you to Coach Haag, Coach Collins, and Mrs. Bradley for donating. I need 80/100 free throws made ! Do your thing Lil homie we got ya back !!!! 🏀🏀🏀🏀🏀 Best of luck Alex!!!!! I know you got This!!! Make em all CJ. Always glade to support you and your brothers and soon to be sister. Show up and show out!!! Wish I could see this in person, go Tyler !!!! I know you'll do a great job! Keep pushing Ivy!! Never settle for anything less than what you deserve!! Hope u shoot free throws better than Shaq! I told when you was younger... guards don't miss free throws, so go get this money!! Proud of you Ivy! For every FT you miss you owe me a lap! Do work young man.. It's not much but I hope it helps your squad. Much love and keep shooting!! Good Luck Jay! Keep working and reaching for your dreams! Nothing But Net for you Nemo! My donation will be $20 if he doesn't make all his shots. Way to go Mikal! Good Luck nephew! Our goal is to provide the most engaging, fun, easy and efficient way for individuals and non-profits to tell their story and raise money for the causes they are passionate about. We're a business with a big heart to help people improve the world.